As my kids head back to school this fall I am filled with excitement, anticipation and nerves. My 1st grader loves school and can’t wait to get back, but as a Mom I worry. She is out of my arms and heading into the big real world, I know she’s ready and I am finding ways to ready myself. One way I am heading off my nerves is by making sure she is prepared with all the supplies she needs as well as getting to know her teachers and classmates ahead of time. I stocked up on school supplies and lunch box essentials this week at Walmart. 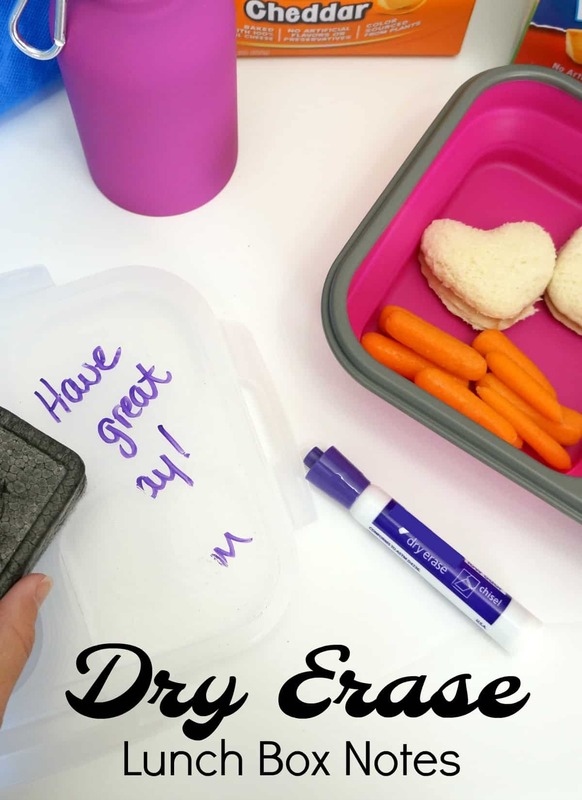 I picked up a new lunch box and I am excited to share this fun idea for a dry erase lunch box note that can ensure your child will open her lunch with a smile each day. When I pack lunch for my daughter I feel like I am sending a bit of home (and Mom) off to school with her. I know that when she opens her lunch bag she will find items she loves and be prepared and energized for an afternoon ahead. A simple note accompanying her lunch is my way of telling my big girl that I love her and I am with her no matter what is going on. 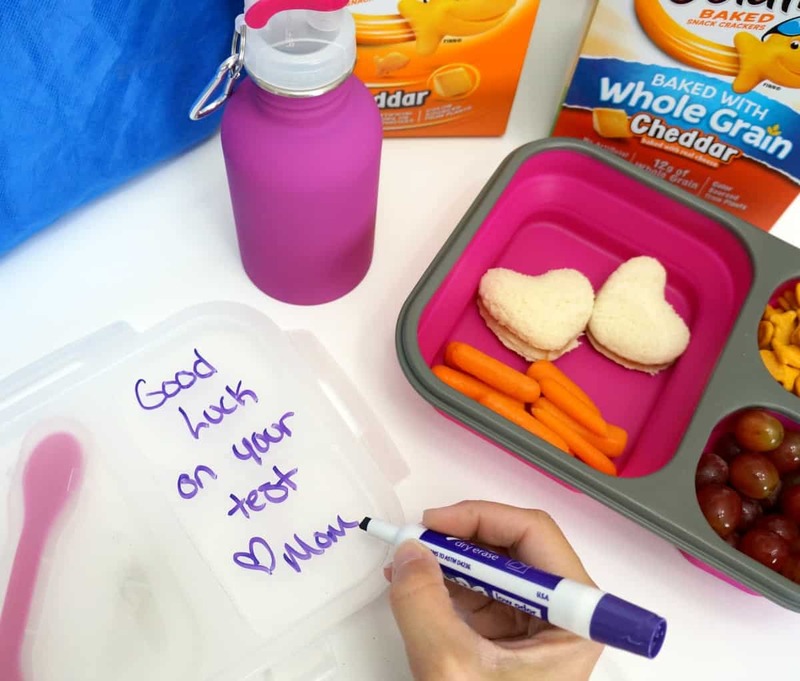 These dry erase lunch box notes are quick and easy and can be applied to just about any hard surface lunch container. I picked up everything I needed at Walmart including a flexible bento box style lunch container, a matching water bottle, dry erase markers and of course some favorite lunch items. I chose bulk carton Goldfish® crackers, a favorite in our home, sweet red grapes, crunchy carrots and sandwich fixings for my daughter’s first day of school lunch. 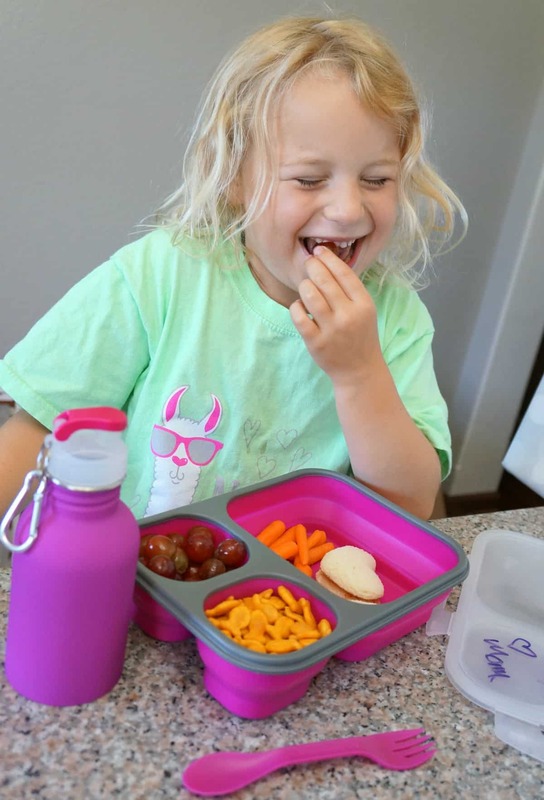 Packing her favorites to create a balanced meal can almost ensure she will have an awesome lunch time experience. It’s my way of packing a smile everyday for my daughter. Hover over this photo below to purchase these back to school must haves. The top of this lunch container is a frosted plastic, a dry erase marker does work on the surface but it leaves some residue behind. I cut a small piece of clear adhesive shelf liner and added it to the container lid. 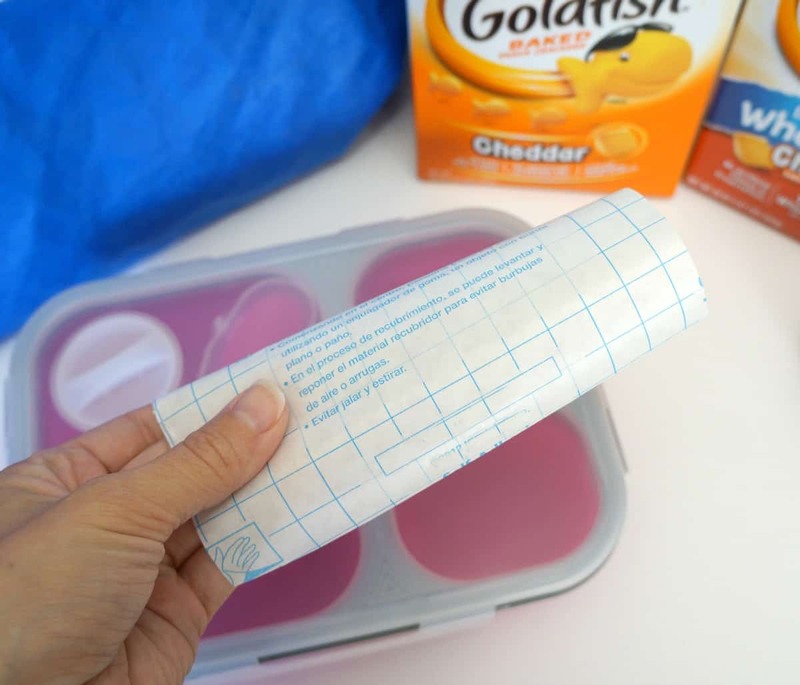 This creates the perfect surface to write and erase lunch box notes, and it holds up to washing by hand. If the shelf liner does start to peel off you can always cut a new piece. My daughter gave her lunch a try and loved it, she can’t wait to bring her new container and favorite foods to school on the first day. Have fun with your child’s lunch this school year, send them off with a smile by including Goldfish® crackers and fresh fruit with lunch. 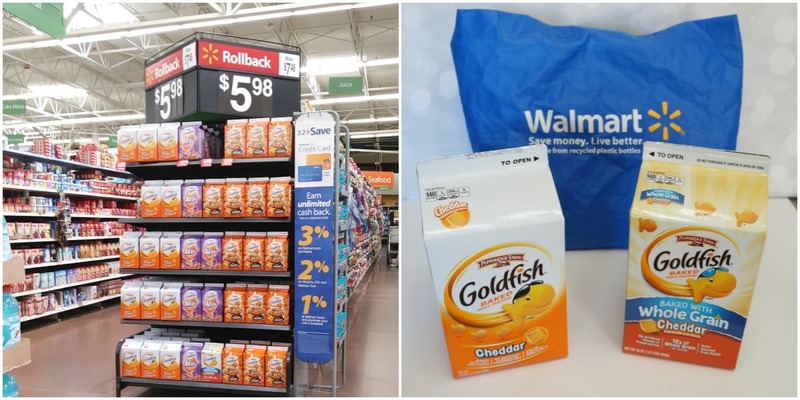 Get more back to school inspiration with Goldfish® crackers here and tell me what will you be packing for the first day of school? 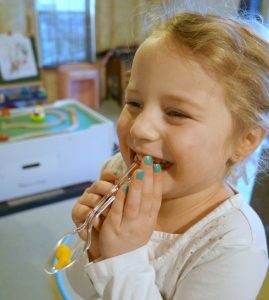 oh my gosh your little girl is so cute! what a sweet idea to write those notes. love it!